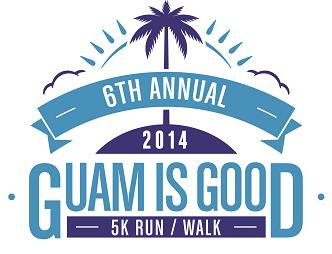 Come and enjoy a spectacular sunset and the beauty of Guam from Puntan Dos Amantes, Two Lovers Point at the 6th Annual Guam is Good 5K Run Walk to benefit the Edward M. Calvo Cancer Foundation on Saturday, September 27th. Join us for an early evening race followed by a post race celebration with local island style entertainment, a light buffet, awesome giveaways, a priceless view and t-shirts with an exclusive design from Crowns Guam for the first 750 finishers! Showtime is at 4:15pm with go time at 5pm. Register in advance at Hornet Sports, the EMC Cancer Foundation office in Hagatna above Cup and Saucer, or online at GuamisGood.org. Proceeds benefit the Edward M. Calvo Cancer Foundation assisting those battling cancer in our community for over 10 years!